Fashion Without Guilt: Frugal Tip Monday-It's Not What you Make but What You Spend? Frugal Tip Monday-It's Not What you Make but What You Spend? Finance is another true love of mine. I came across a great article on Iwillteachyoutoberich.com regarding Conscious Spending. It definetly hit home with everything that I have been reading about lately. It's not what you make but what you spend is the real key to financial success. 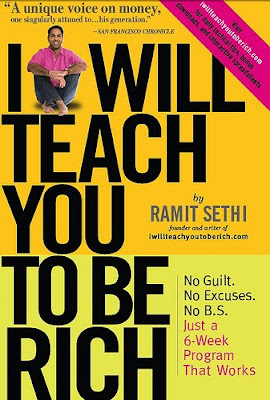 According to Ramit Sethi, unless you establish a financial mindset at a very young age it is hard to break the I-want-it-now habit. He gives a scenario of three friends, their salaries and how they spend. Friend 1: The Shoe Lover-She spends at least $5000 a year on footwear. Stating that he does not truley believe in the purchase but her six figure salary and various investment makes her authorized for a splurge or two. Friend 2: The Partier- This friend can roughly spends close to $21,000 a year on entertainment. Mind you that is a bit excessive but again with a healthy salary and a nice standing in his 401K and real estate invesments he is sitting pretty. And last but not least, Friend 3: The Subscription Nut- He has every subscription from Netflix, local gyms, and online music accounts. He does not disclose his salary but does mention that he does have a budget and plan for his money every month. That means its not more about the spending than it is managing the money.Money should always have a name and a plan. Iwillteachyoutoberich.com is a great resource for help and direction to a secure financial future. I just ordered the book yesterday, and I hope it lives up to everything that I hope for. I will write a review and let you know if it is worth the read. Check out another Frugal Tip Monday tips about creating a budget and tools to help manage your finances.